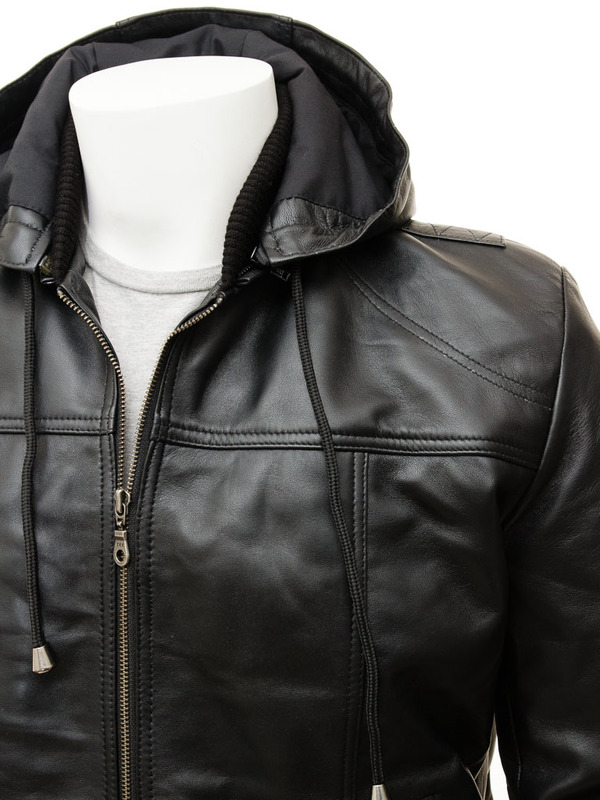 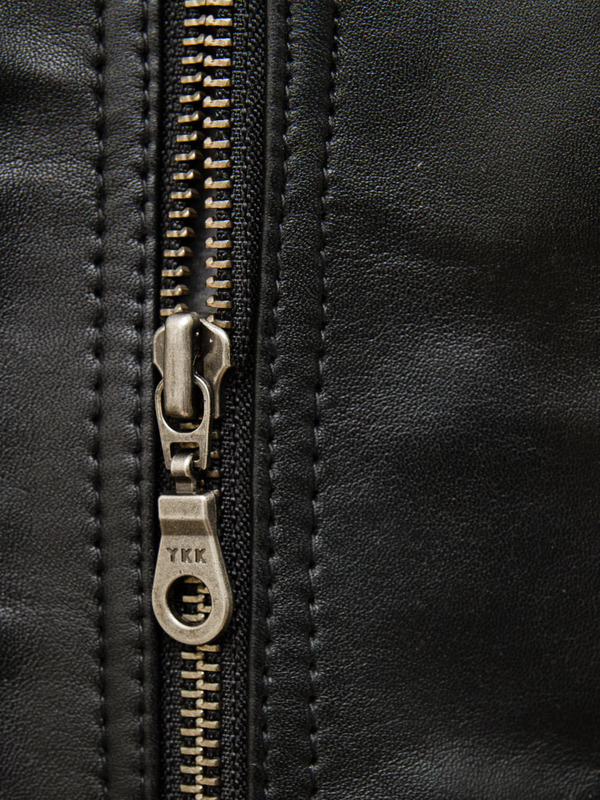 A solid black leather hoodie with a detachable hood. 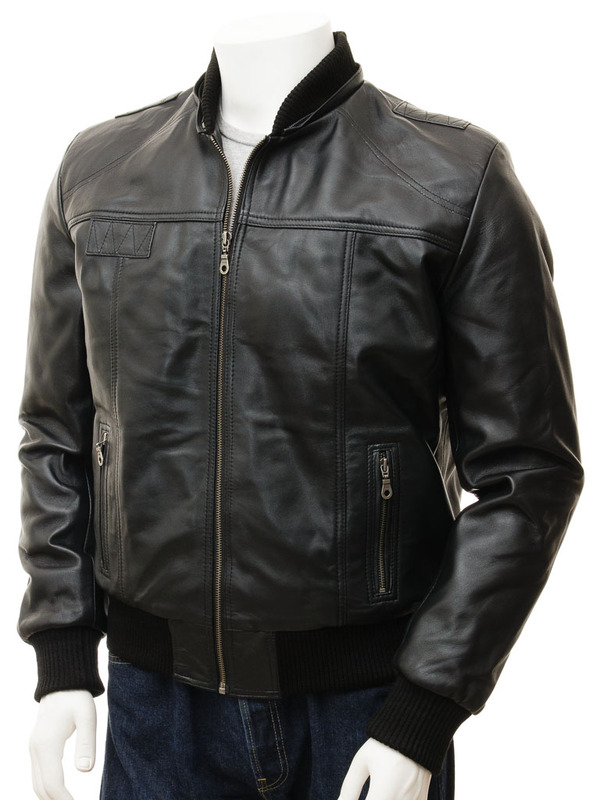 Providing the best of both worlds this jacket is made from a super-supple sheep nappa leather. The styling is classic bomber with a YKK zip front extending up to a stand collar made of woollen rib knit. 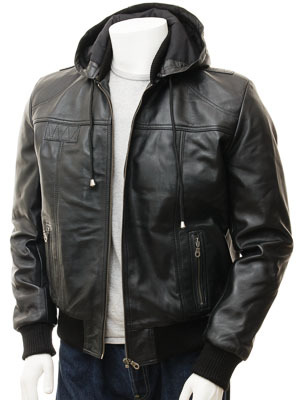 This is also used for the cuffs and hem of the jacket because it works so well at keeping the heat in. 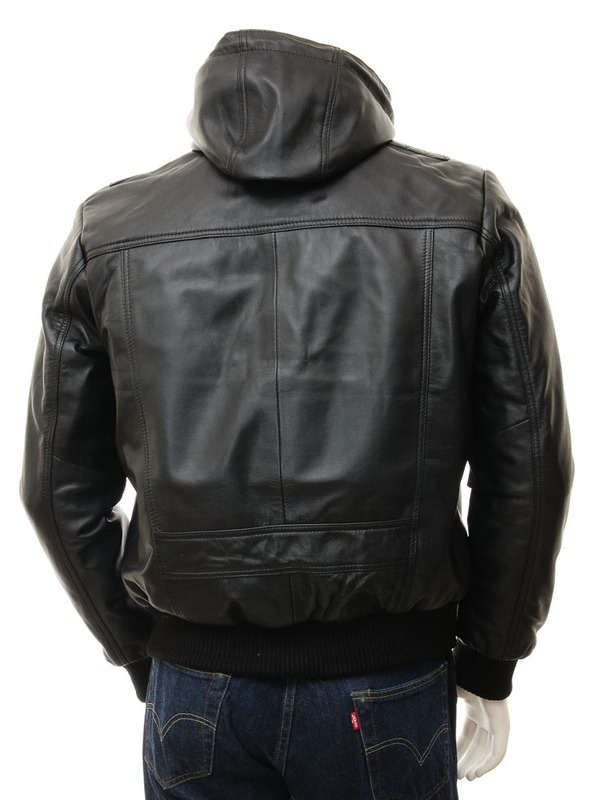 The genius though of this style is the fact that the hood can be zipped on or off transforming between leather bomber and hoodie jacket.